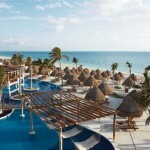 Excellence Playa Mujeres - Dream Wedding Places and Destination Wedding Ideas.Dream Wedding Places and Destination Wedding Ideas. 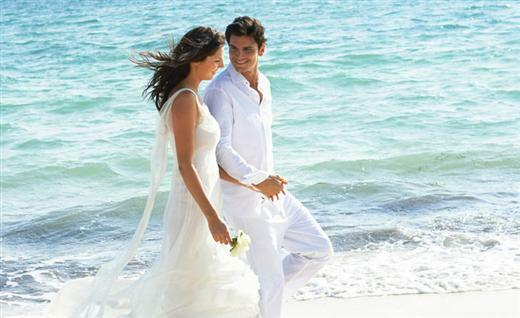 What could be more romantic than getting married on the beach, overlooking the sparkling azure Caribbean? 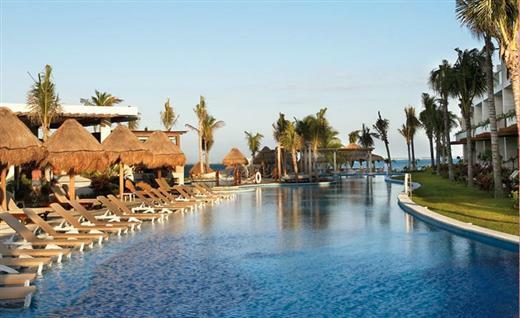 Voted Top Ten Hotels for Romance in the Caribbean and Mexico by TripAdvisor readers in 2011, Excellence Playa Mujeres is situated on an immaculate white sand beach along an untouched 20-mile peninsula and is a glorious setting to stage your wedding. Our wedding planners will work with you to personalize your ceremony and reception so everything is taken care of, and your special day goes exactly as you dreamed. Our adults-only resort and spa is also an ideal destination for unforgettable anniversaries, honeymoons and luxury romantic getaways. 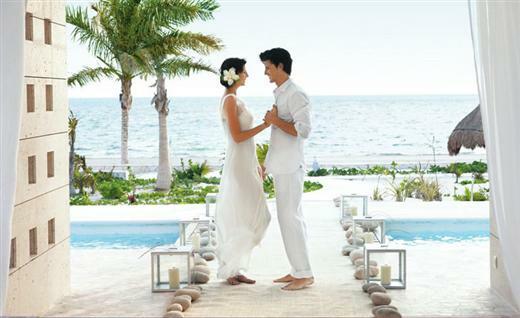 Excellence Playa Mujeres offers three deluxe wedding packages plus two Honeymoon/Anniversary Packages to complete the experience. Free Wedding Package is available for stays of a minimum of 7 nights or more in the Excellence Club Junior Suites Ocean View or higher category. Lavish accommodations await you, some of them featuring private pool access, or private terraces with exterior HydroSpa pool, access to Nine international restaurants where reservations are never required, Eleven bars, 24-hour room service, world-class Spa, a full-scale fitness and cardio-conditioning center and an exceptional range of activities and services. 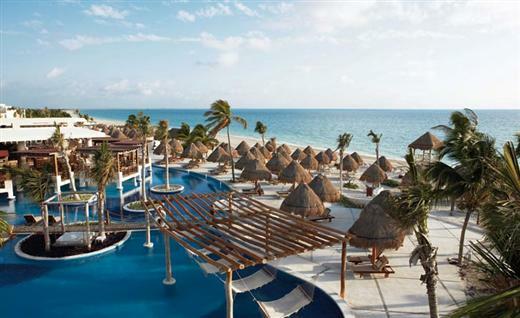 Playa Mujeres is situated on an untouched 20-mile peninsula, secluded and serene but conveniently only 25 minutes north of Cancun International Airport. right on the Caribbean. 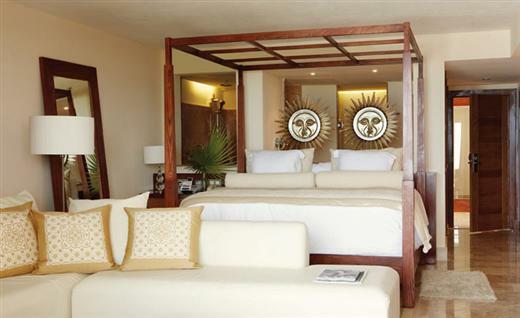 This all inclusive jewel of Cancun offers spacious rooms and suites furnished in elegant contemporary decor and outfitted with the latest amenities. Here, everything is taken care of and nothing is left out. So you are free to create those moments you dream of… and memories you’ll have forever. 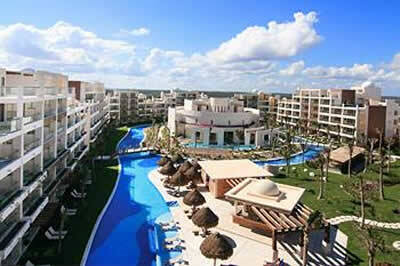 Enjoy the direct pool access of our swim-up suites, or opt for a Suite with rooftop terrace. Each of these rooftop terraces comes outfitted with a private HydroSpa pool (heated in winter), and offers stunning views and comfortable lounge furniture. On the inside, our commodious rooms and suites are outfitted with the latest amenities to ensure that your stay is as relaxing and satisfying as possible. 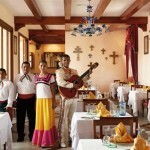 – Concierge service from 7am through 11pm. 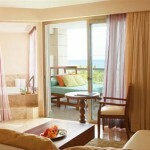 Junior Swim-Up Suite, located on ground floor with direct access to the pool. We created The Excellence Club to provide an exclusive level of luxury, privacy and service at each of the Excellence Group resorts. 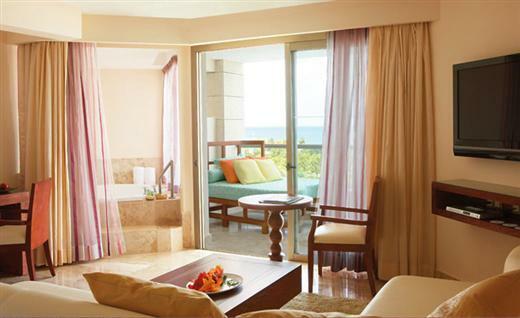 At Excellence Playa Mujeres, Excellence Club rooms and suites offer impressive ocean views, superior amenities and much more. – Room Service Express (menu featuring a number of savory items that can be delivered almost immediately). 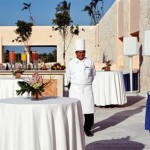 At Excellence Playa Mujeres, when it comes to dining there’s something for everyone. 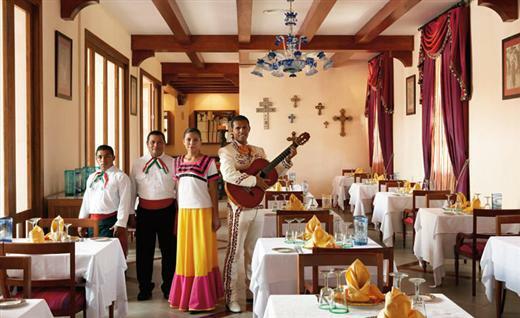 Nine irresistible all inclusive dining options bring you cuisine from around the world. 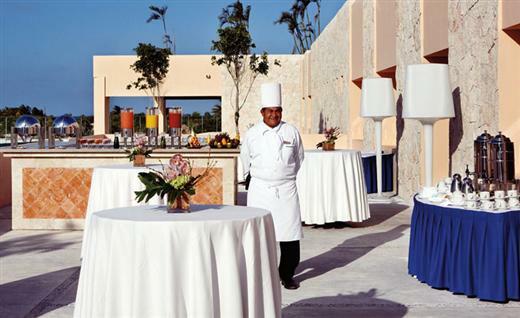 And in complement to the focus on personal wellness at Excellence Playa Mujeres, spa cuisine is available for breakfast, lunch and dinner. 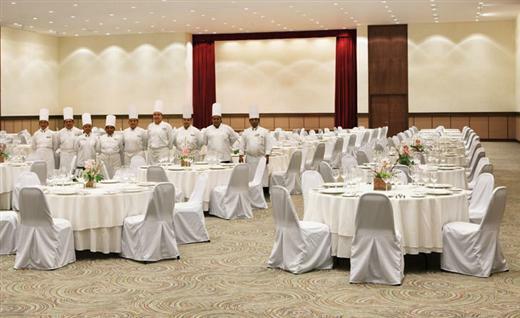 All of your meals and snacks are included with your stay, and reservations are never required at any of our restaurants. 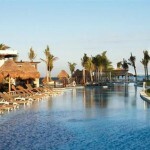 Plus 11 different bars throughout the resort complete the experience. If you’d prefer to stay in the luxury of your room, our convenient room service is available 24 hours a day. Guests of Excellence Club will also enjoy our Room Service Express menu, consisting of a number of savory items that can be delivered almost immediately. 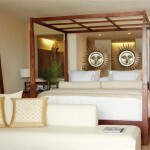 regard for the exotic tropical flora and fauna that make the location so noteworthy. With nine ocean holes and nine lagoon holes, the course features stunning vistas and challenging sea breezes. Do not miss the Spa!! 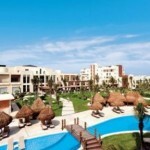 Miile Spa at Excellence Playa Mujeres brings a spa experience all its own. 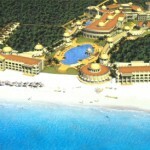 Surrounded by water, Miile Spa at Excellence Playa Mujeres is an island of relaxation and rejuvenation. Experience total renewal in one of our spa suites, where you can enjoy Ayurveda and steam rooms and wellness treatments in complete privacy. 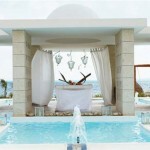 Or opt to enjoy your spa treatments outside, facing the Caribbean. 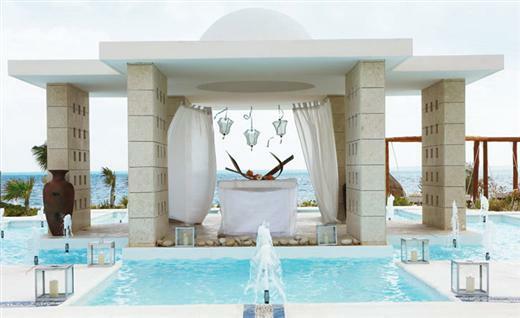 Featuring deluxe personal pampering services – from the most extensive hydrotherapy circuit in the Mexican Caribbean to expert skin care and hair styling – our spa ensures total wellness of mind, body, and spirit. Seven meandering pools wind through the hotel grounds, including outdoor Jacuzzis. 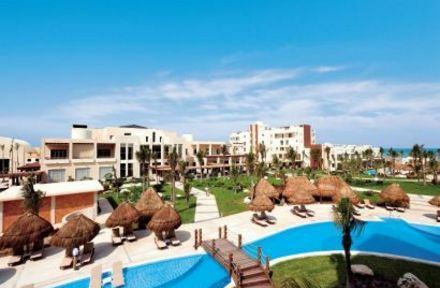 The hotel features as well such amenities as a deluxe Spa, a full-scale fitness and cardio-conditioning center and a wide variety of land and sea activities. At Excellence, our all-inclusive resorts are designed to address your every need, so that you are free to create the moments you dream of, and memories that will last forever. 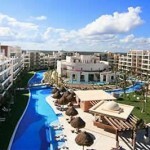 Excellence Riviera Cancun feature impressive outdoor event locations, from open terraces to spectacular, private oceanfront reception areas on the beach. 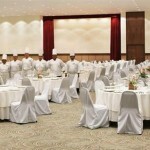 Whatever the scope of the event, Excellence has a suitable setting to ensure the success of your function. Working alongside with your dedicated wedding coordinator, we will ensure every detail is polished and flawless, from setup and catering to floral design and decoration. Our professional staff, superior catering options and breathtaking backdrops invite you to experience the Caribbean wedding you’ve always imagined.